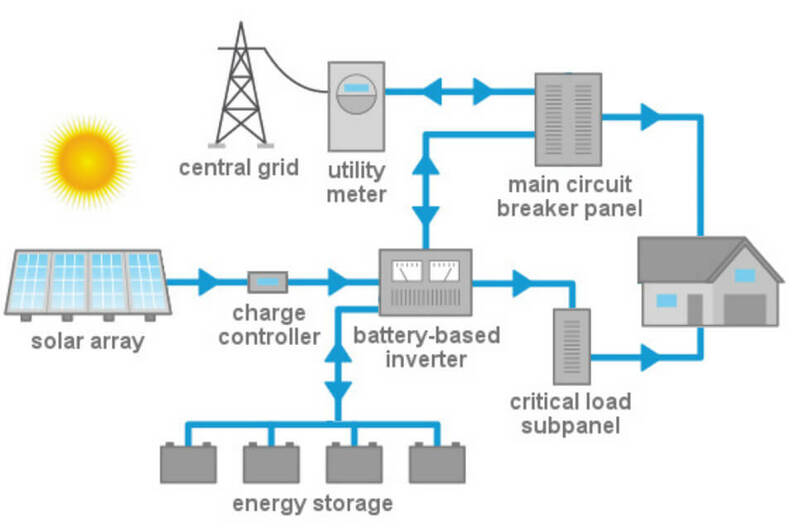 WHAT IS A HYBRID PV SYSTEM? A solar energy system that connects to the grid, has battery backup and can operate in on-grid and off-grid mode. DOES A HYBRID PV SYSTEM WORK? Aurora hybrid solar kits are unique in their ability to operate in either grid connected or off-grid conditions. These systems include advanced BMS technology that enables users to modify the charge/discharge rate & schedules of the battery storage unit as well as to manage power consumption and PV generation usage. Our hybrid solar storage systems include new generation Lithium Iron Phosphate (LiFePO4) battery packs (48V) series connected in high voltage DC configurations. State of the art batteries offers 4000 cycles and up to 80% DOD (Depth of Discharge). Each battery is offered in a 2.4kWh block and can be stacked together in series to achieve a variety of different energy storage options.